Start off your morning with a Falalala Latte from DFW only pop-up coffee shop; Then, get in the Christmas spirit with holiday-themed cocktails at a pop-up Christmas bar in Dallas; Plus, a Christmas song performance from Salvation from Sundown. And, former Dallas Cowboy turned actor Eddie George stops by. He stars in the Broadway musical, “Chicago”. Singer and actress Hailee Steinfeld joins us live to talk about her new Transformers movie, Bumblebee”; Then, gift ideas for Cowboys fan; Plus, Broadway’s razzle-dazzle smash “Chicago” is back with a preview of “When You’re Good To Mama”; Plus, movies to watch before the end of the year; And, the app designed to connect families with real Black Santa. She’s one of the most recognizable names in health and fitness, Jillian Michaels. 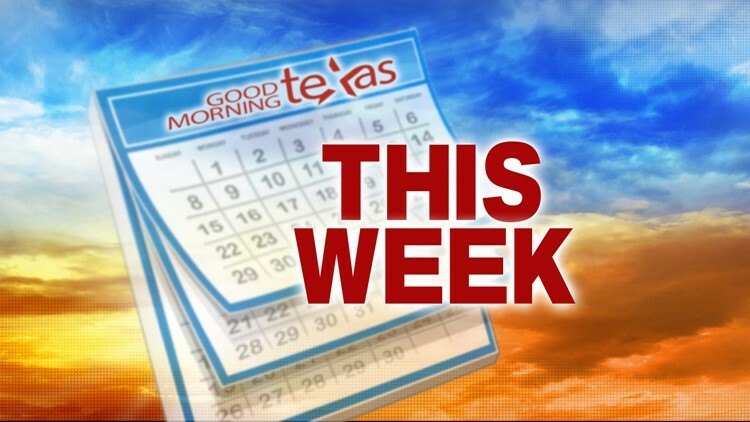 Catch her tips on how you can make the aging process work for you instead of against you; Then, Colin Allred stops by to talk about the role he will play as representative elect; Plus, Paige is live from the Dallas Arboretum to get into the Christmas spirit; And, how to cook healthy during the holidays. Former American Idol contestant Pia Toscano talks about a new docu-series she stars in on Netflix, “Westside”; Then, PBS "Genealogy Roadshow" host Kenyatta Berry is here to talk about her new book, “Family Tree Toolkit”; Plus, it’s a wrap! Christmas trimmings that are outside of the box. It’s a GMT pajama party! Paige is live from Grapevine with her final installment of the “Home for the Holidays” series; Then, we celebrate National Ugly Christmas Sweater Day with ugly Christmas sweaters; Plus, you’ve seen him on “30 Rock” and “Orange is the new Black”. Comedian Jason Salmon is here to talk about his upcoming gigs in North Texas. And, a couple elopes live on the show.